Commonwealth Games medallists Eddie Dawkins and Matt Archibald both went under the magical 10 second barrier in qualifying for the men’s sprint, while London Olympian Natasha Hansen was back to her best to heats the women’s sprint. Early attention focussed on the Para-Cyclists where Wellington’s Kate Horan set a world record in the women’s C4 Flying Lap. 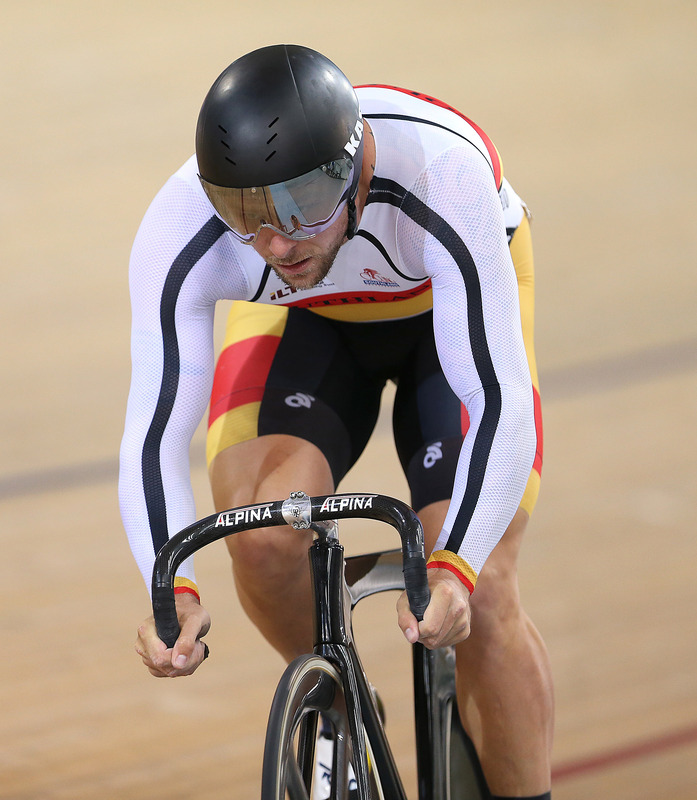 Dawkins led a strong men’s sprint group, in the final qualifying ride, clocking 9.876s, which is only 3/1000ths of a second outside his New Zealand record set at the Avantidrome last September. Earlier Archibald set a significant personal best of 9.921s, his first time under 10 seconds and his best time in two years. All the major contenders qualified and went safely through the first round. Dawkins, Archibald, Sam Webster and Ethan Mitchell prevailed in the quarterfinals, with the pick of the heats when Webster came over the top of Simon van Velthooven in a tough battle. Tonight sees Dawkins take on Mitchell and Archibald against Webster in the semifinals. Hansen, who has recently returned to the Cycling New Zealand programme and moved to Cambridge, topped qualifiers in the women’s sprint with a personal best 11.131s, which was 3/100ths of a second outside Steph McKenzie’s national record. Tonight’s semifinals pit Hansen against Waikato BOP’s Tess Young while McKenzie meets Katie Schofield. Horan was remembered as a Paralympian on the track who won a medal in Beijing in 2008 and more recently turned to Para-Cycling, winning a silver medal at last year’s world championships. Today the below the knee amputee clocked an excellent 13.551s in the 200m flying lap, which took more than two seconds off the previous world record held by British athlete Zoe Marusiak. “I was really nervous but pleased to come away with a good time and of course a world record,” Horan said. “It has given me the confidence to know I have a good sprint on me and definitely a lot of improvement in me. It is a good milestone and a good measure, as I look forward to my main event, the 500m time trial. “I would like to think that this indicates that I am on track for the world championships. This is definitely a real positive for me.” Tonight’s session features sprint semifinals and finals, under-19 pursuit and keirin finals along with scratch race for junior women and elite men, and points race for elite women.